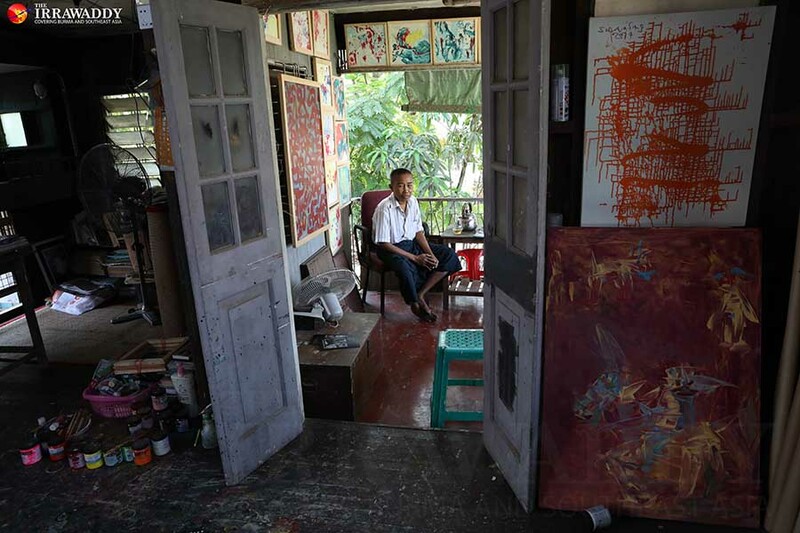 YANGON — After decades struggling as a lesser-known artist, Soe Naing can now lead a decent life. But many years of work with canvas and paint have put his home at risk. “Will you sell your floor or shall I remove it and take it?” some of his friends and fans have joked. To most people, the floor of his house is just a bunch of wood planks splattered with blotches of colorful paint . To his fans, it is a priceless work of art. 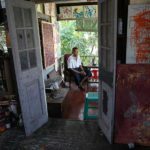 Soe Naing has turned the entire upper floor of his humble two-story wooden house in Yangon’s North Dagon Township into his studio. There, he has created thousands of paintings. There, collectors have bought hundreds of his creations. Today no one remembers when, some 30 years ago, Soe Naing had to walk from one magazine house to another to sell his illustrations. Born with Thalassemia, a genetic blood disorder, Soe Naing never really enjoyed good health. But there was never a day that Soe Naing did not paint or draw. Raised under the Burma Socialist Program Party, food and other supplies were scarce when he was young. But on the days his family cooked meat, he could not help using the leftover oil for his art. “I would always draw something with pen or pencil. Suffice it to say that I am inspired by the unconscious obsession,” Soe Naing said. He studied zoology in the hope that he would be able to draw animals. U Thein Han was one of his first artistic mentors while he was attending university. 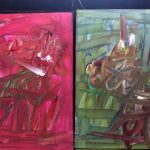 Soe Naing was inspired by abstract expressionist artists Williem de Kooning and Jackson Pollock and became a new figurative but struggling artist after his abstract depictions of humans, dogs, cats, horses and such won praise from critics. 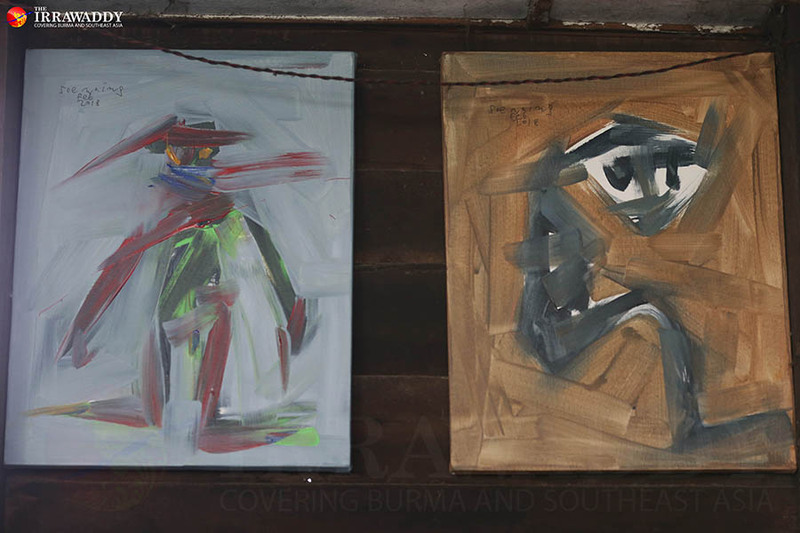 “Soe Naing has created a new trend in Myanmar modernism. 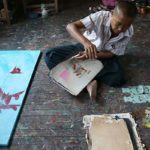 He added small figures with intense and swift brush work, which was different from pure abstract works of Kin Maung Yin, Maung Di, Khin Wan and Aung Myint,” contemporary artist U Aung Min wrote in his book on Myanmar contemporary art. Though he set a new trend, his paintings were still not the most popular with collectors. Once, a member of the government’s art exhibit censorship board even asked him “to work,” thinking the artist had stopped painting. Soe Naing, however, had been working day in, day out. 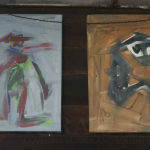 His paintings finally started to sell in the 2000s. 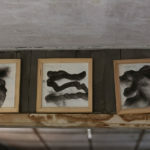 The artist does not like people asking him what his paintings represent. “I don’t like to define my paintings at all. Perhaps they think [paintings] are valuable only when they represent something. They are not satisfied when I say it is nothing,” he said. But more and more people are liking his work. 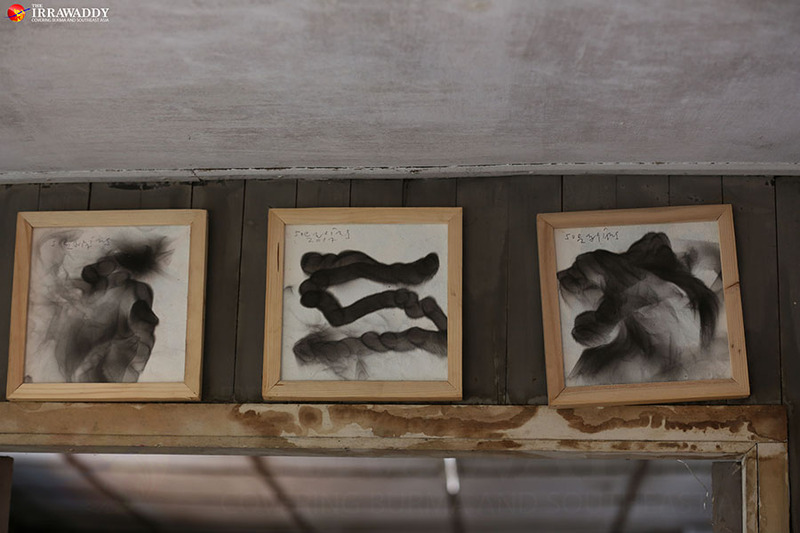 Local and foreign collectors have come to his house and bought his paintings in bulk. 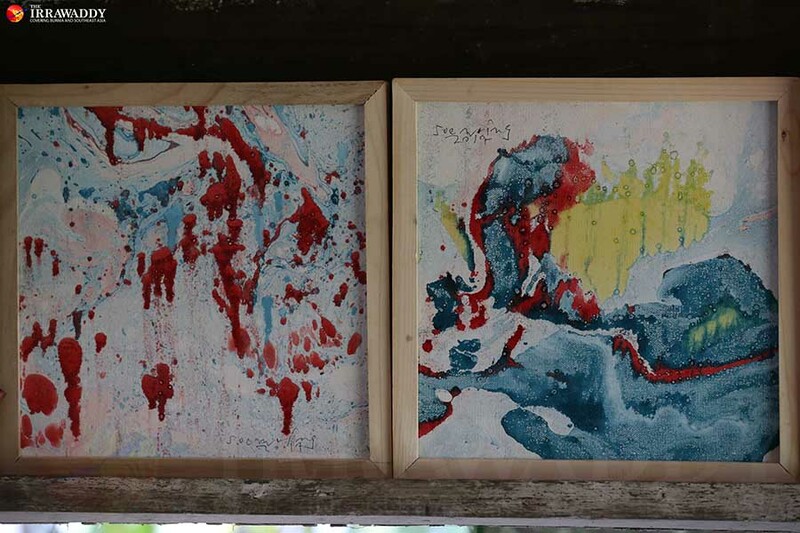 He has also exhibited his paintings in Thailand and Singapore. 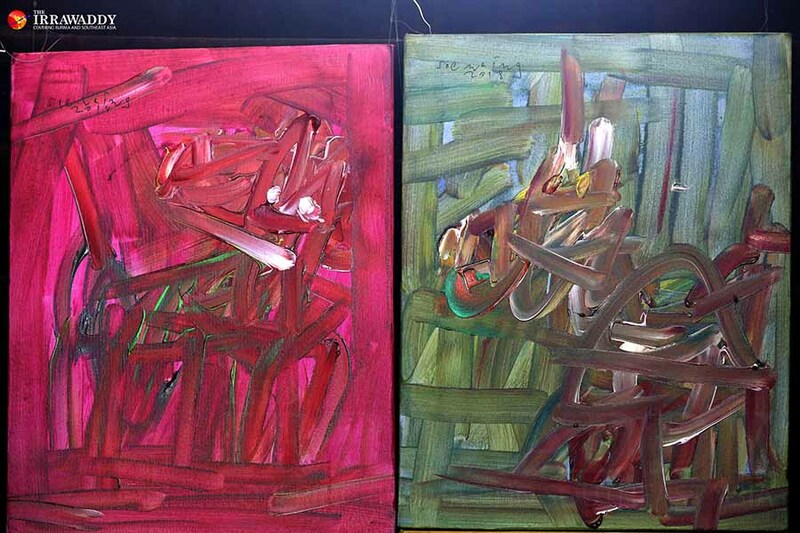 At an art exhibit last year, Soe Naing drew with pitch instead of paint to demonstrate that art can be created with anything. “Art is close to us. It is not pretentious,” he said.